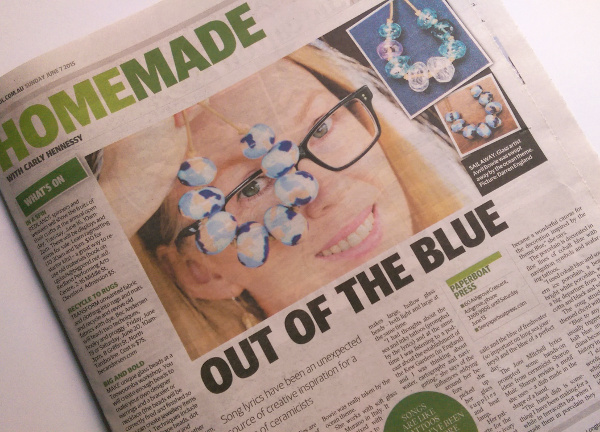 I was in The Sunday Mail last Sunday (7th June), up the back in the Hand Made life page. It was a great pic posted of me, but at the time I was a bit worried about a close up! I’m so glad it worked out well – really eye-catching, ya think? Carly, the journalist, did a great job tying mine and Sharon Muir’s interviews together, too. The opening night for Blue was a great night. It’s still open until the 13th of June, so head in there to take a peak.